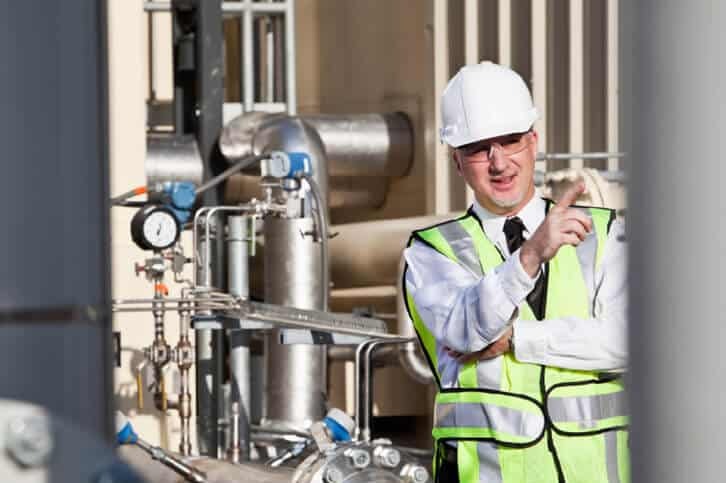 Home » Pharma Blog » What is a Process Engineer? Process Engineers are responsible for designing, implementing, controlling and optimizing industrial processes, especially continuous ones within the chemical, petrochemical, agriculture, mineral processing, advanced material, food, pharmaceutical, and biotechnological industries. According to the BLS, the median annual wage for chemical/process engineers was $102,160 in May 2017 with projected job growth of 8% from 2016 to 2026. Process Engineering provides the chemical or biochemical processes and equipment that are used to turn raw materials into an end product and is an essential part of the manufacturing industry. Process Engineers create, set specifications, develop, implement and monitor this equipment or these processes as part of the manufacturing system. Within pharmaceutical and medical device manufacturing, the processes involved can be chemical or biochemical. Process Engineering is at work during all stages of a continuous manufacturing process. These engineers can be designing innovative processes and equipment for a new facility or they can be involved in the modification and optimization of equipment and processes that are already in place. As a result, Process Engineers work with people all across the manufacturing system including R&D, production staff, management and even customers. In a discrete manufacturing factory, you typically find, assembly lines, U shaped assembly areas, machine tools, CNC machine centers, CNC lathes, stamping presses and dies, robots, welders, pick and place (SCARA) robots, injection moulding machines, packing machines, air-powered assembly tools, painting and finishing areas, etc. For some people, Process Engineers and Chemical Engineers are synonymous. For others and depending on the country you are in, a Process Engineer is a KIND of chemical engineer that designs manufacturing plants, which can do everything from recycling plastics to making jam. Here the emphasis is not on doing new chemistry. Instead, they focus on applying known chemical reactions to designing, maintaining, and improving manufacturing plants. There is more emphasis on mathematics and physics (specifically fluid mechanics) than chemistry, so they work more with mechanical engineers. A Process Engineer is responsible for developing, installing and monitoring the equipment and processes that turn raw materials into an end product. As such, their job can be extremely varied. In larger companies, Process Engineers may specialize in a niche area but in smaller facilities, a Process Engineer can be responsible for a huge variety of tasks. Watch this Video on a Process Engineer’s Role! To hear more about the work of a Process Engineer from someone in the role, check out this video from the About Bioscience website, produced by the North Carolina Association for Biomedical Research (NCABR). 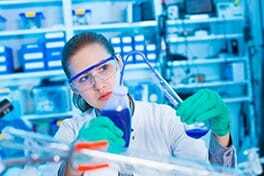 Typically, a Bachelor of Science (BSc) degree in a related field (such as engineering, chemistry or material science) is required. Management experience or business qualifications with accompanying engineering awareness or experience can also provide a route into these positions. If you already work as a process engineer and would like to retrain to perform the same or similar role within the pharmaceutical industry, check out our 30-week Certificate in BioPharmaChem conversion program. Check out our salary guide for a Process Engineers for information local to you. According to the Bureau of Labor Statistics, chemical engineer (its data includes that of process engineers) jobs will experience significant growth in the near future. For example, the BLS projects a 8% increase in demand for these engineering jobs between 2016 and 2026. Process engineers should experience similar growth. In Ireland, CPL recruitment lists Process Engineers as an “In Demand” job for 2018. As with all resumes, it’s extremely important that you tailor your Process Engineer resume to reflect the language used within the job advert. Where you have relevant experience or skills, use the words and phrases that the employer has used to describe them. Do not assume that someone will read similar wording and know what you mean. For more information on currently available Process Engineering roles within the pharma space, head to our jobs boards and select Engineering in the “Jobs by Category” menu. We currently have jobs boards for Ireland, the UK, and Philadelphia, USA.